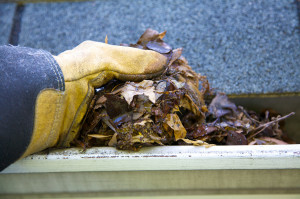 Gutter covers should be the first thing you think about after installing a new gutter system. That’s why ABC Seamless of Albuquerque proudly offers a top-notch gutter protection system to homeowners in Rio Rancho, New Mexico, and the surrounding areas in addition to our durable seamless gutters. Having your gutters covered can save you from future troubles, including the eventual deterioration of your gutter system due to blockages and overflowing water. The first signs of your gutters deteriorating include water not flowing properly, cracks or leaks, and mold damage to your house. Furthermore, uncovered gutters can be a common place for animals to build nests that will inevitably lead to unwanted blockages. These blockages can also attract insects or other small pests that you do not want anywhere near your house. However, with the addition of our gutter covers, you can effectively keep insects and pests away. Additionally, ABC Seamless of Albuquerque has been in business since 1989 and employs staff members that have all been fully background checked and drug screened. Contact us today to discuss gutter covers for your home in Rio Rancho, NM, or a surrounding community.